1 2 3 4 5 Click to share your rating 4 ratings (3.0/5.0 average) Thanks for your vote! Price Promotion in 20% off Melissa & Doug! 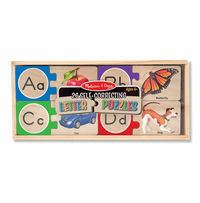 34.92% of people buy Melissa & Doug: Alphabet Letter Puzzles and Melissa & Doug: Number Puzzles. 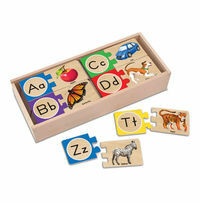 "Great resource for early literacy." A great resource. My only concern is how long it will last before the paper pictures start coming off. Time will tell. 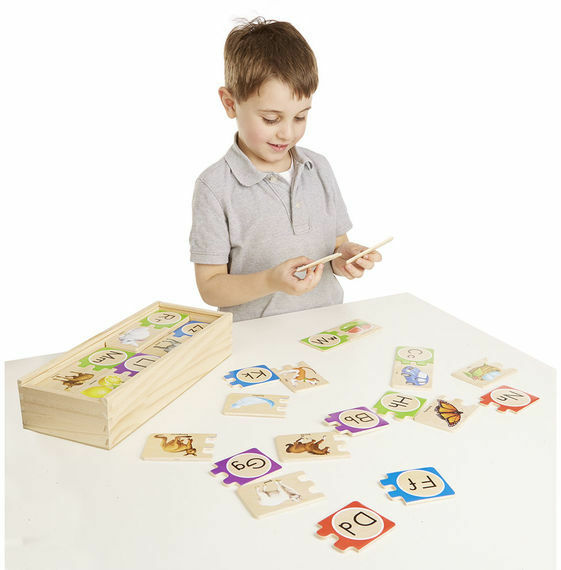 Match these wooden puzzle pairs to make mastering letters and their sounds as easy as A, B, C.
The puzzles are self-correcting–each piece has only one match that fits–so children can play independently and learn at the same time. Ages: 4 years and up.